Today, candles are less of a necessity and more of an accessory you use to style your interiors, and in a lot of cases, the exteriors. For example, floating candles are used both outdoors and indoors. When used indoors, they are usually floated in a container of water. Outdoors, you can have floating candles for pool decoration in case you have a swimming pool that is not being used. Tealight candles or LED tealights make great floating pool candles because the wax is restrained inside the metal containers. However, tealight candles are not necessarily the only form of candles that can be used as floating candles for pools as we also carry a range of LED Candles and Scented Candles. 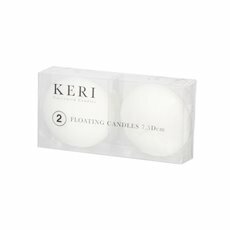 Specialised floating pool candles are paraffin candles with a slightly rounded flat base to help them float. They can come in shapes like a lotus flower, or in a basic rounded shape. Having a bunch of these in a water body can be an amazing sight. The movement of the water matches the flickering of the flames, and the light is softly reflected back by the water. You can also consider adorning your pool with our awesome selection of candle lanterns and votive candles for that extra magic touch. Even when used indoors, floating candles can be used in a variety of ways. The first and the most often used method is to take a flat bowl of water and put in floating pool candles. These are often combined with floating flowers or petals. However, there are some other great ways to use floating candles in decorating your home. You can use floating pool candles in martini glasses or wine goblets decorating the dinner table. If you are using your drinking glasses, it might be a good idea to use soy tealights for their lower temperature. You can also have floating candles for pools in tall glass vases. If you fill up the vase with water and anchor flowers under the water with glass pearls, it makes the entire height attractive. Then, with the candle floating on top, you get the same height and width as pillar candles, but more decorative. If you have a tall glass container with a broad mouth, you can fill it up with glass marbles or river pebbles. Since a broad surface area will be able to accommodate more than one floating candle, you will get the appearance of a multi wick candle. 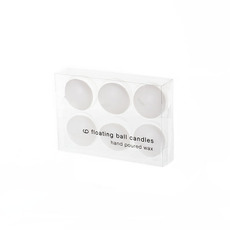 In fact, pillar candles, multi wick candles, and votive candles can all be used in combination with floating candles. Why not try out our floating candles and see what decoration ideas you can come up with for your home?